Secondly, I praise God from whom all blessings flow! And always, we want to thank God for Jesus, the sacrificial lamb who made salvation possible for us. My prayer this morning is directed toward intercession for the people; for the miraculous power of God to be manifest in our lives, our friends, family, loved ones, co-workers; and whoever else God has laid on our hearts to pray for. What’s interesting about this is that Moses applied to the people what he had applied to himself. So we want to put our self in a position so that we can intercede on behalf of those that need healing rather it be natural or spiritual healing. The word tells us that even as we spread the gospel of the good news, we are to also minister healing and deliverance. We are to, among other things, heal the sick. Signs and wonders are to follow us, but we have to be in position for that to happen; namely, diligently hearkening to the voice of the Lord; our God, doing that which is right in His sight, giving ear to His commandments, and keeping all His statutes . . .
We know the God we serve as Jehovah Rapha; meaning he is the physician, the healer. And he operates through us based on our faith in Him. People who face terminal malignancies and endure great pain. People who are frustrated, hopeless, and ready to give up. People who have lost loved ones or been hurt by others. People bound with chains of sin and demonic oppression. God is able to do that and much more than we can even think or imagine! Dear heavenly father, we come to You this morning with grateful hearts and praise on our lips that You woke us just one more day; that You allowed us to wake this day with our health and our strength and clothed in our right mind. Lord, in this day and time, we do not take anything for granted and we recognize that it is because of your grace and mercy that we are here and it is your grace and mercy that we live, move and have our being. We thank You because we have a continued mind to serve You. And because we serve and trust You Lord, we have a blessed assurance that You are our refuge and our fortress, the one true God in whom we trust! We come to You heavenly father with thanks giving in our hearts knowing that You and only You are able to supply our every need; to equip us to run this race, to defeat everything that comes up against us, everything that is not like You. Dear God, we thank You for great and everlasting faithfulness! We thank You for Your goodness and for Your mercy. We know that when we walk in obedience according to Your word that You will supply every need we have according to Your riches in glory. Lord, we know that we are victorious in You. We are armed with the shield of faith; trusting in You for the healing that thru the blood of Jesus Christ is possible. By Jesus' stripes we are healed. Heavenly Father, we thank You Lord for the blood of Jesus; for the power of the blood of Jesus. 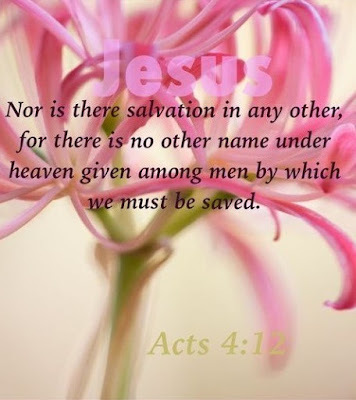 Because of the blood, we can receive healing, sinners can be saved, delivery from mental depression and oppression is possible, yokes are broken, my God, hallelujah, demons have to flee at the precious name of Jesus. Oh my God, thank You for Jesus and the power through Him to work signs and miracles in His name! We thank You Lord for Jesus, who is the author and finisher of our faith; who for the joy that was set before him endured the cross, despising the shame . . .for us. Hallelujah! Thank You for the love that You bestowed upon us, the love that sent Your son, Jesus Christ, to die for us that we may live and have life more abundantly through You. Lord, You said that we only have to believe on You and the works that You did, You said we shall do them also and even greater works (more) than those! This is a prayer for belief in You. Decrease our unbelief; put our total dependence on You; knowing that You and You alone are able! Lord, You said if we have faith the size of a mustard seed; that if we believe in You . . .
Lord let Your will be done on earth as it is in Heaven; according to Your will for You are sovereign. You have power and dominion over all; power belongs to You and is subject to Your will. We know that we can’t do anything without You; that we operate only through You. In all of our ways, You said Lord, that we are to acknowledge You; that You will direct our path. Proverbs 3:5) Lead us and guide us today; allow us to be Your ambassadors, remembering at all times that we are walking in the holy spirit with the anointing that You, the sovereign one, the King of kings and Lord of Lords have placed within us. Even as Paul prayed, Lord, we are praying that You stir up the gifts within us; we need to see Your glory manifested; Your dunimas power revealed to a sin sick world that they may believe that it is You and only You in Your awesomeness that is able to heal, to destroy the yoke, to cast out demons, to provide real comfort, blessed assurance and peace. Dear heavenly father, in the name of Jesus, we plead the blood against everything that is not like You. We ask that You command Your angels to guard us in all our ways; in our comings and in our goings; to protect us from all hurt, harm and danger of those things seen and unseen. Remember all of those who are suffering both physically and mentally. We pray, oh Lord God that You bring peace and deliverance to those that are troubled, that You bring comfort to those in sorrow, healing to those who are sick. We are looking to You for divine healing; healing of the body, of the mind and of the spirit. We look to You Lord for great and mighty accomplishments. We pray in the precious name of Jesus that You bind everything that is not like You. Lord You’ve given us everything in Your word to keep us and sustain us, You’ve given us Your precious gift of Your holy spirit and You said If we delight ourselves in You that You will give us the desires of our heart, You said if we commit our ways unto You and trust You that You will bring it to pass. Because You said it in Your word, Lord, because of our trust and faith in You, we believe it. 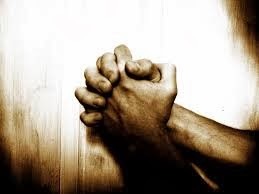 Lord we acknowledge that we just can’t do without You, we can’t win without You, we need Your power and Your strength. We realize that it is no goodness of our own but You Lord, in Your sovereignty, that keeps us and allows You to accomplish Your will in our lives. And now, Lord we pray that You be with us, that You lead us and guide us, give us wisdom and knowledge to speak and act according to Your will; that we may be laborers in Your field; that Your manifested glory be revealed through us dear God. We ask all these things and we thank You for all things, in Jesus’ wonderful name we pray, amen! So, today, I admonish each of You to keep an atmosphere of faith by looking to God's Word as you guide. · * Praise God for Your healing and those that You are praying for also. · * Keep in contact with Your Healer, God, through Your continued prayers. · * Testify about Your healing to others, giving glory to God. · * Resist the attacks of Satan with the "Rhema" Word of God by quoting specific verses about healing. · * Don’t waver in Your belief, as a man who wavers will not receive from God. (James 1:6-8). · * And finally, contend (wrestle) earnestly in the faith for Your deliverance. (Romans 10:9). 8 So what exactly was Moses saying? The word that saves is right here, as near as the tongue in Your mouth, as close as the heart in Your chest. 9 Say the welcoming word to God - "Jesus is my Master" - embracing, body and soul, God's work of doing in us what he did in raising Jesus from the dead. That's it. You're not "doing" anything; You're simply calling out to God, trusting him to do it for You. That's salvation. 10 With Your whole being You embrace God setting things right, and then You say it, right out loud: "God has set everything right between him and me!" 11 Scripture reassures us, "No one who trusts God like this - heart and soul - will ever regret it." 12 It's exactly the same no matter what a person's religious background may be: the same God for all of us, acting the same incredibly generous way to everyone who calls out for help. 13 "Everyone who calls, 'Help, God!' gets help." Thank God for the prayer today; hopefully something was said that will bless us and keep us today that our minds will be in perfect peace with the Lord!